I'll be wrapping up my Colorado trip here with the journey back to Santa Rosa. Fair notice: this post is mostly photos, so if it's not your bag, I'll see you next time. I left Telluride in the evening with the expectation that I would reach my destination(Zion National Park) in the morning. It was about 7 hours of mostly sparse desert to get there so I was hoping to get through the mostly boring parts at night. 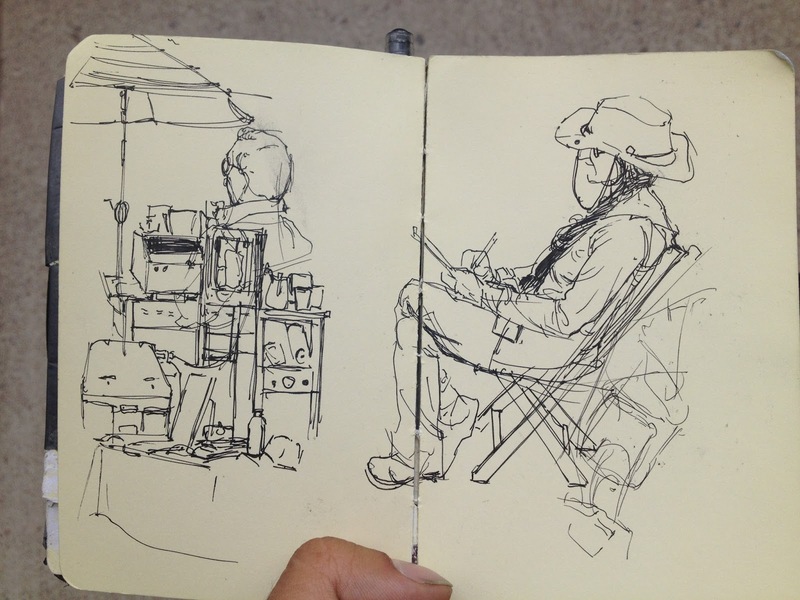 I was getting really tired near Page, AZ. I did not see any place to rest anywhere so I stopped at some teeny little town called Kaibito. There was nothing that looked halfway inviting for a quick stop besides a gas station with a little parking lot. I thought I would try to take a cat-nap that would power me until I reached Page. I was there for less than 10 minutes when I saw a truck drive around the lot and come right up to the side of my car, headlights still on. The truck was not moving, and the headlights were staying on, but no one was coming out of the truck either. Who was in the truck and what did they want?? I didn't know what to do. I did not want to get out of my car, but I didn't want to pull out because what were they going to do? Would they follow me? Was another truck going to come and box me in? I was starting to get nervous. I tried to look in the truck to see what type of person was in the truck. I couldn't see much inside, and couldn't really see the side of the truck either. I didn't do anything, just tried to wait it out for another 10 minutes or so. They didn't move, just stayed in their truck and kept their lights on. I thought, OK, I'm just going to pull out, try and leave, and see what happens. So I backed out, and was able to see what kind of truck it was. Arizona State Troopers. So I knew I wasn't going to die, but still didn't know why they didn't question me or tell me to get out of the truck or anything. I left the gas station, then got back on the road and left the town. They didn't follow me. So I don't know what that was about, but it scared me enough to get me to drive another half hour to Page. I slept near a bunch of RV's in the back of a WalMart parking lot. Apparently this was the de facto rest stop in the area. I can't sleep for long in airplane seats or car seats, so I only slept long enough to catch the sunrise. 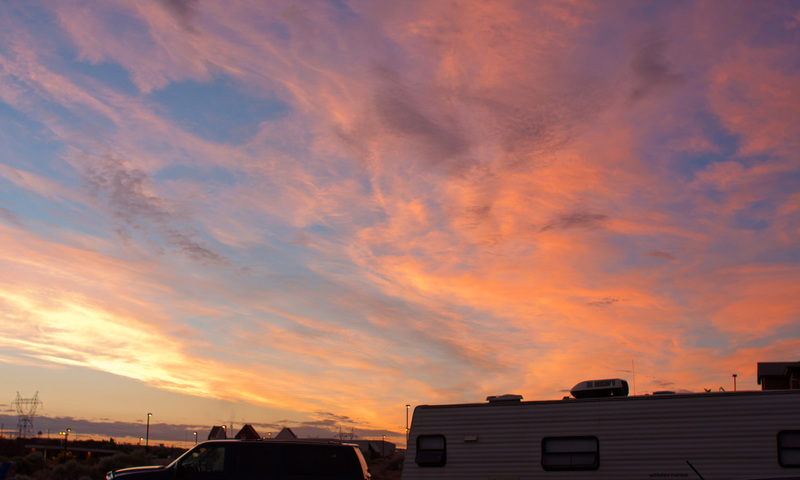 By the way, very few skies more beautiful than desert sunrises. One of the most beautiful drives I've ever done! 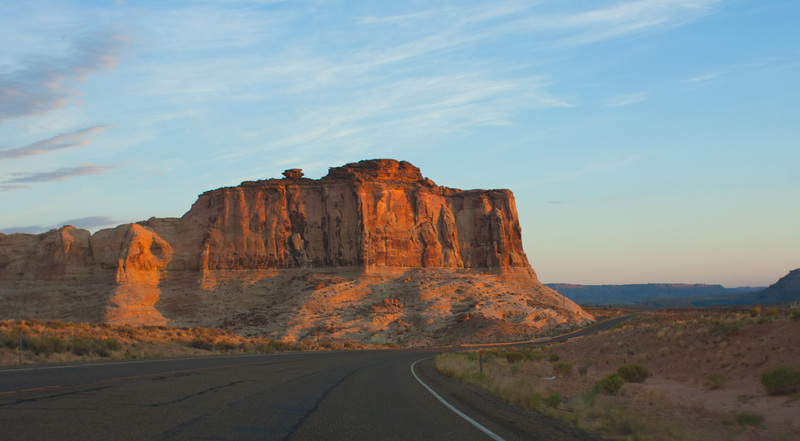 Maybe the sunrise bumped it up a few notches, but the drive between Lake Powell and Kanab, UT was glorious... It goes along the edge of Grand Staircase Escalante National Monument. I couldn't get great shots of that, but here are a couple of photos of what I saw along that drive. I reached Zion about a couple of hours after stopping in Page. It is quite the amazing site. 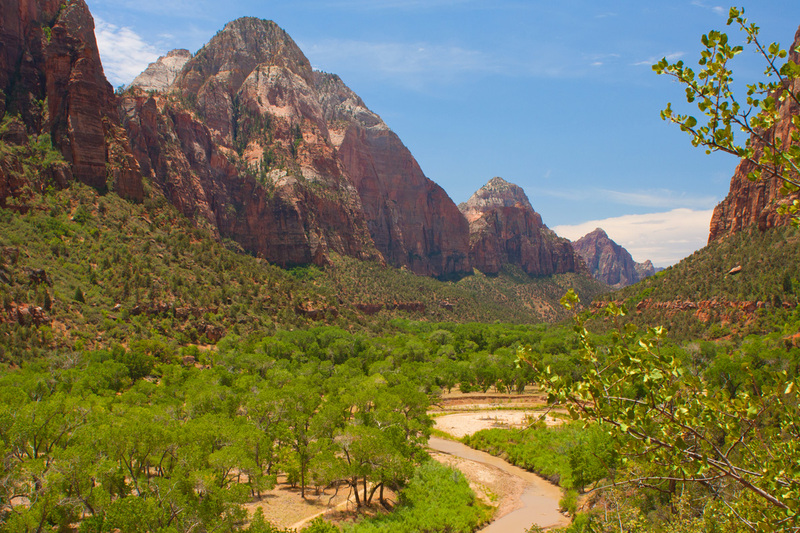 The park is created in these towering red "temples" of limestone and sandstone and is also carved by rivers that have created beautiful canyons. Here is one of many scenic viewpoints in the park. I stopped to eat breakfast at a cafe that happened to have an awesome painting by Kevin Macpherson in it. For my money, it's the best landscape painting in this post :P Good to see some nice art in such a tourist destination. 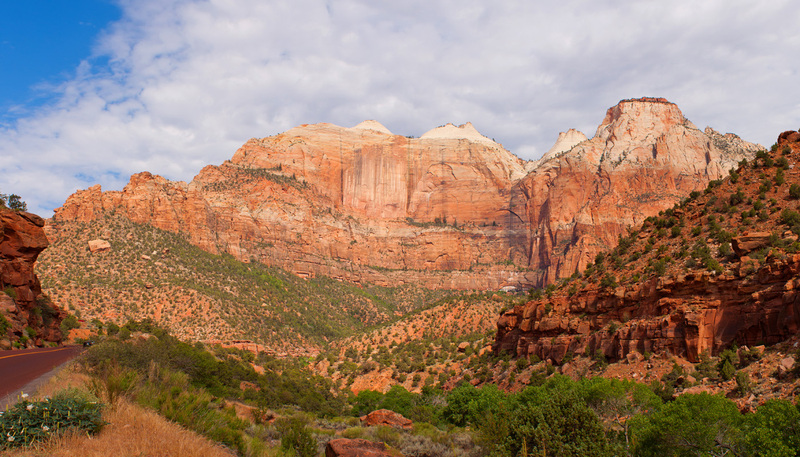 This a view partway down Zion Canyon that made me nickname it "Desert Yosemite." The views along the trail are so inspiring. Had I more time and energy I would have trekked up Angel's Landing but the trail to the "emerald pools" was more than sufficient. 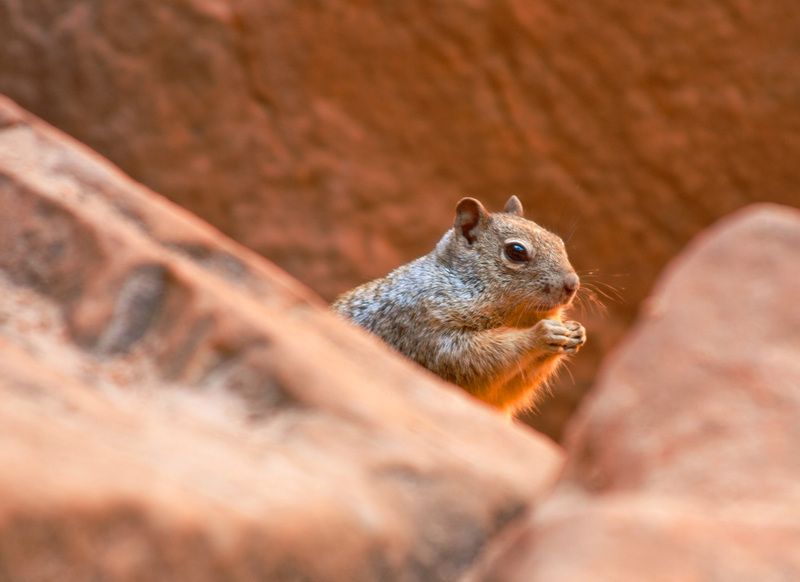 One thing about the wildlife here: The squirrels are VERY friendly. No doubt because of the tourists ignoring the many warnings not to feed them. The squirrels are fatter than I'm used to seeing, and move at about half the speed of your neighborhood guy. This does, however, afford me the chance to take some cool close-up shots of them, like this one here. It was rainy and gray in the park, so that meant I wasn't going to get to do much more there unless I waited it out for another few hours or so. I needed to get moving, so I got back in the road. One of my favorite things in nature is watching what happens as the clouds clear after a rain. 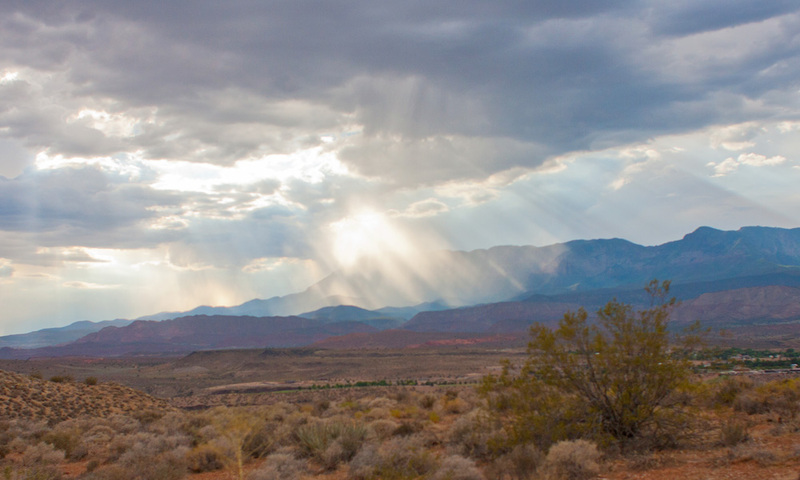 These were both taken near St. George. It seems like a pretty cool place on account of its proximity to so many national parks and monuments. 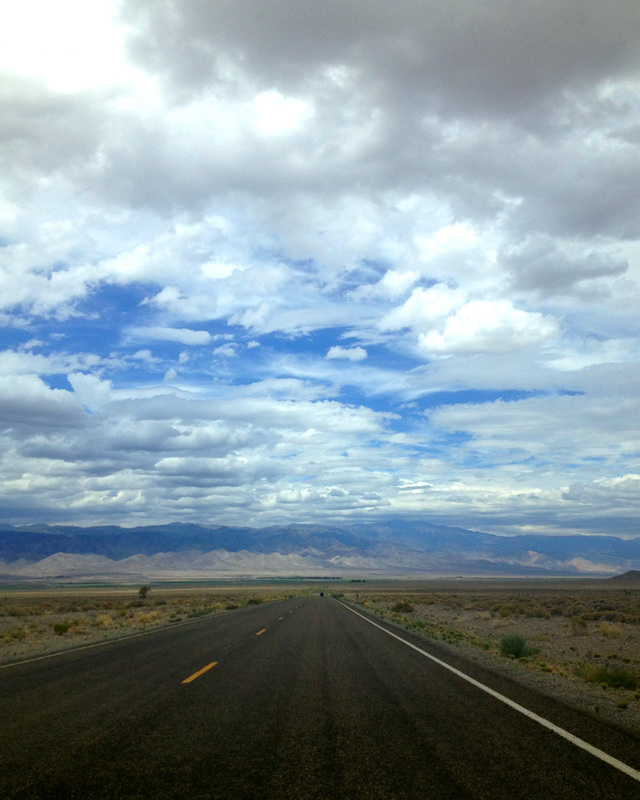 So, between St George and Vegas it was raining. Sometimes it sprinkled, other times it stormed. It didn't, however, cool down much. It felt like 95 degrees at 9:30 PM in Vegas. How do people live in such a place?? The desert is not a place for me to live. I stayed at a place in Pahrump, which for the price was a million times nicer than the motel I stayed in at Green River. It was nice to see my beloved California in the distance here. Not sure what those mountains are called, but they have the Ancient Bristlecone Pine Forest, home to the oldest trees in the world. 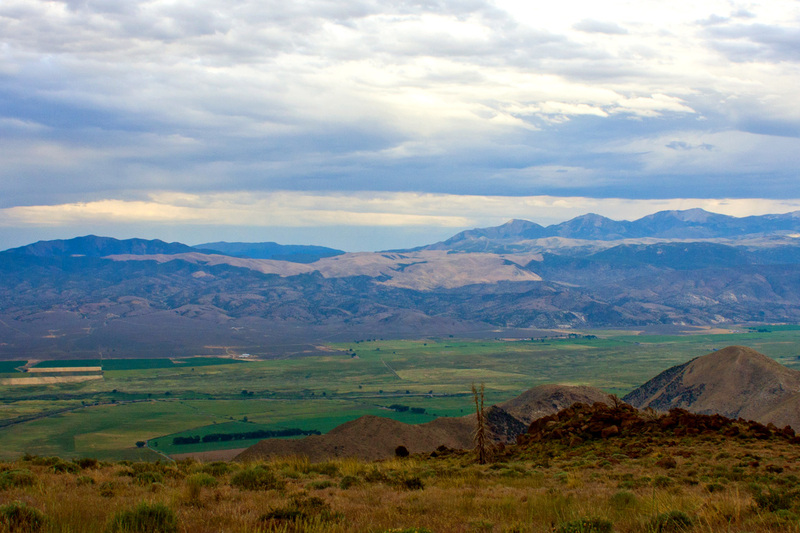 Some of the beautiful Eastern Sierras, outside of Bishop. 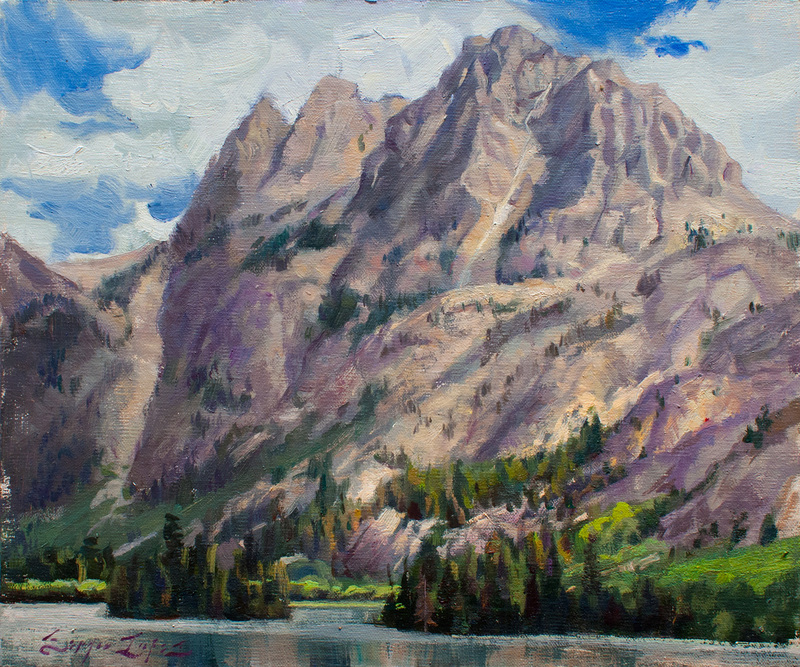 My whole idea for taking the route home was to be able to paint at the June Lake Loop. It's a relatively easy place to reach by car, and while not as pristine as Lake Ediza, it is still extremely beautiful place to visit. It is an alpine lake with a charming town and the quintessential granite mountains around it(think mini-Tahoe). Again, thwarted by rain halfway through! I finished this one in the studio, where I was able to control the lighting situation in the painting a little better. It was still another six hours to get home, and the rain was off/on still, so I didn't paint anymore on my way home. 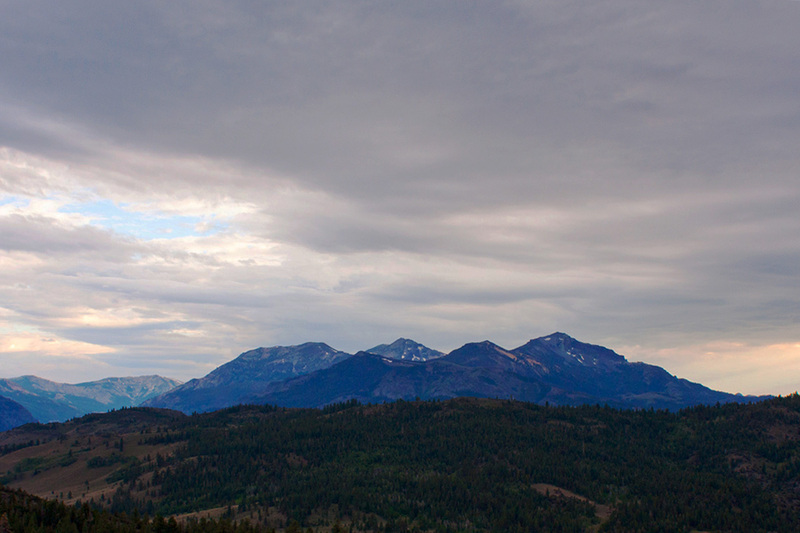 But here are some nice shots that I took of the mountain landscapes. 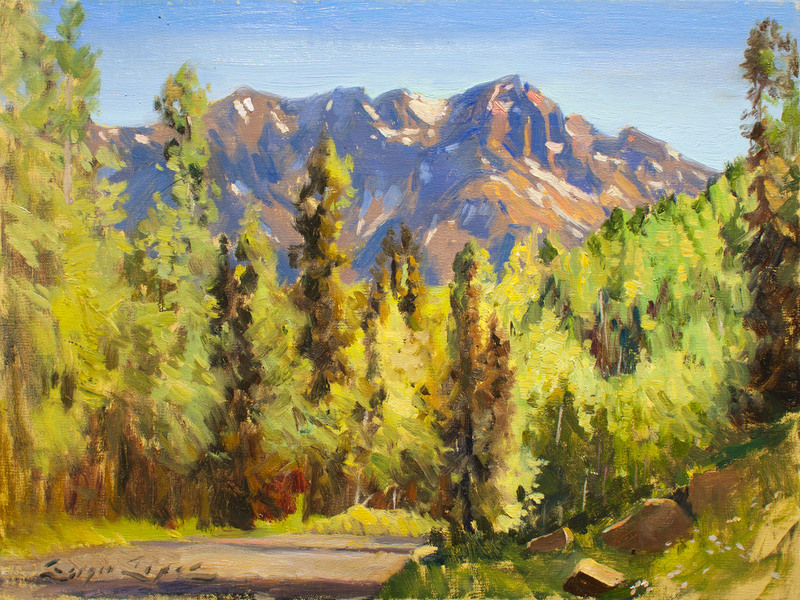 The meadows in Mono County are very picturesque and highly worthy painting subjects. What else could you need? 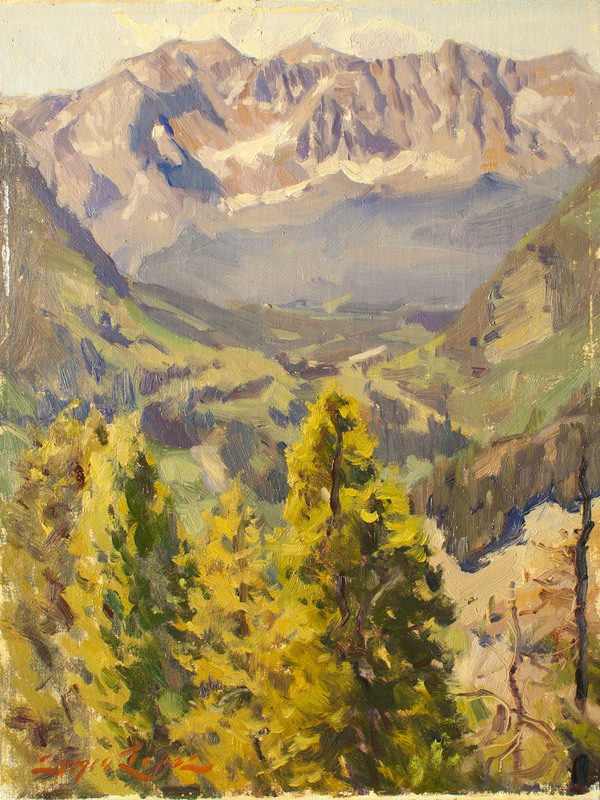 A valley view along Monitor Pass. Again, so much to paint in the area. A cluster of peaks near Markleeville. 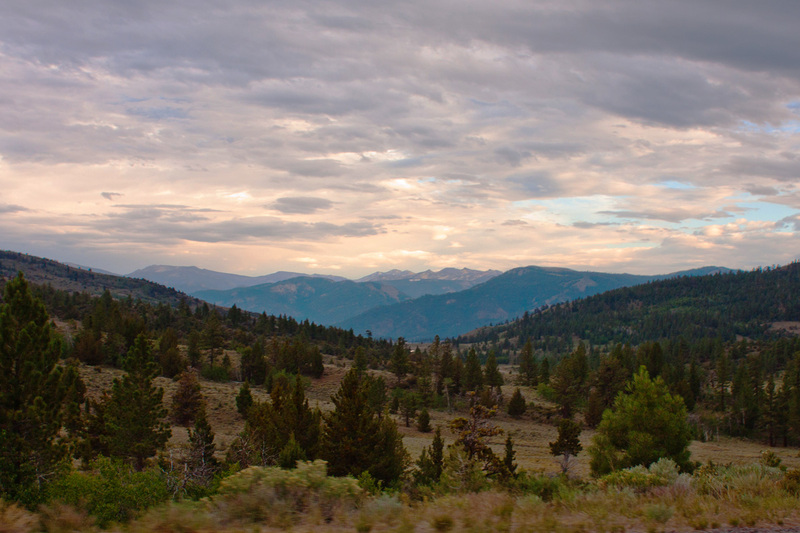 Another beautiful scene near Markleeville, close to South Lake Tahoe. Thanks for hanging along. Until next adventure! Telluride was a great experience again this year, with perfect weather pretty much the entire time there. I got to dig in to more of the town than last year, and I got to paint in some areas that I saw last year. This was my first official painting of the event. I had a mis-start the evening before and junked a "wiper." This was a view from the house I was staying in, which was an amazing multi-million dollar home in the hills above Telluride. Great views of the San Miguel mountain range. 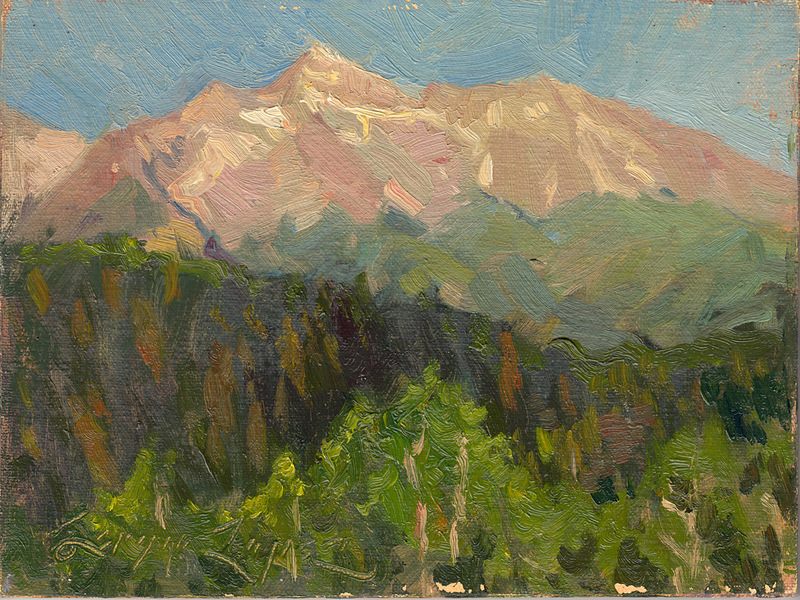 "Wilson Peak After Dawn" 6x8 in. oil on linen board. 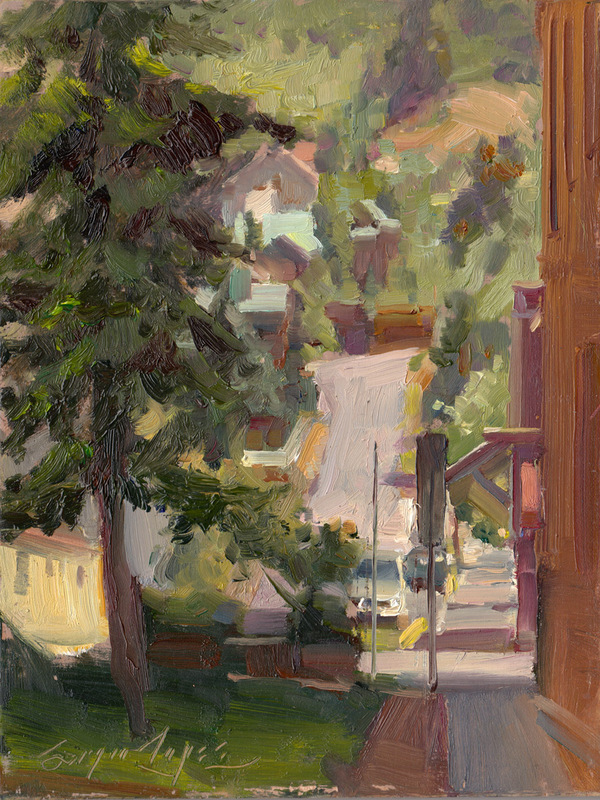 I spent most of the day painting around the town of Telluride. 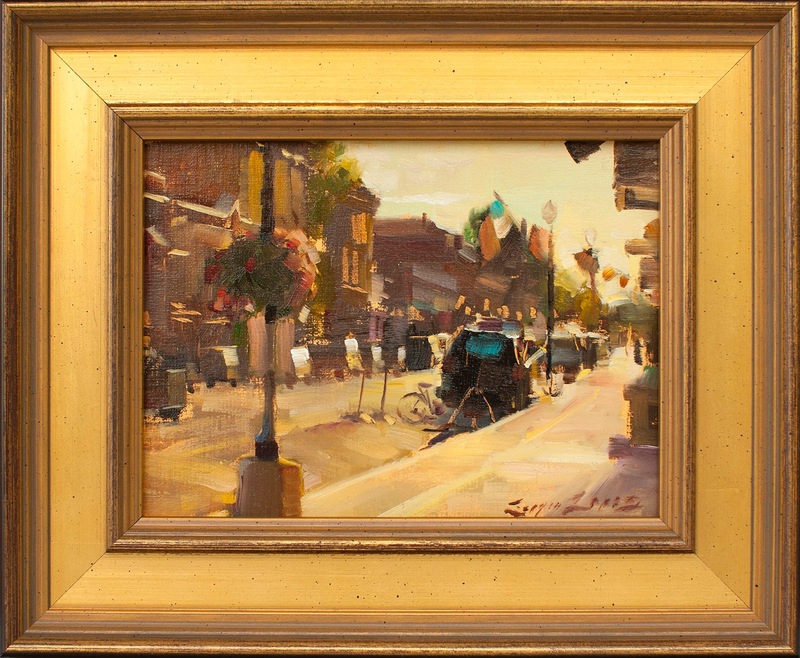 This is one of the charming scenes about town that make it so much fun to paint in town. This is one of those scenes that I didn't get around to last year. I think I can do a better job with this one especially in the waterfall part. It doesn't quite feel like a waterfall; it looks more like an actual bridal veil, in fact. "Wait Right Here" 9x12 in. oil on linen board. This was a view just down the road from the house I was staying at. See how that whole "house worth millions" thing is starting to make sense? "Deer's Haven" 12x16 in. oil on linen board. This was one of my smallest paintings yet one of my most popular paintings of the ones I did out there. People seem to really enjoy tall narrow paintings for some reason. I believe it is because it's easier to find a spot to put them on the wall. Especially with a little guy like this one going for $450, people seem to consider them a bargain. 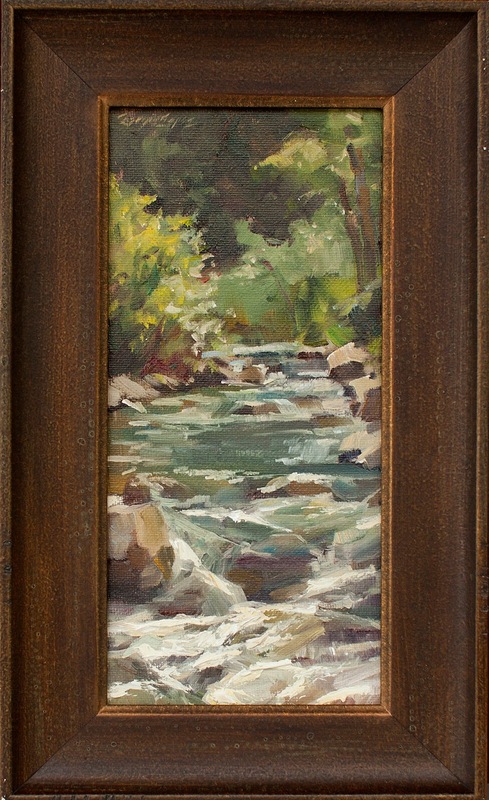 "Fall Creek" 9.5x4.5 in. oil on linen board. This painting took a couple of days to finish. I started it one day, then I saw a herd of elk behind me in the distance. I don't know if they were going to make their way over to me, or if they get aggressive, but I sure wasn't going to find out. I came back the next day a little bit earlier and finished it. 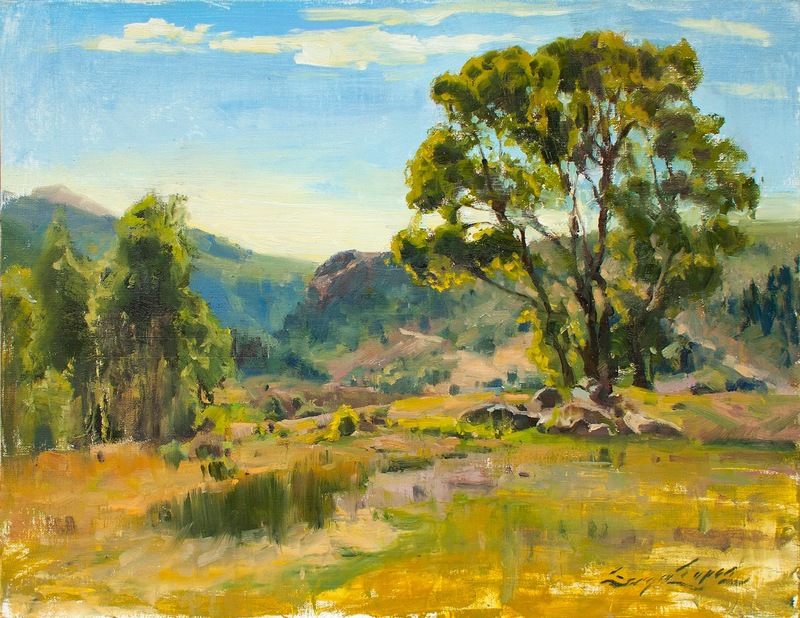 This painting I had to paint rapidly because of the sun rapidly vanishing behind me, but the drawing and some of the values suffered because of it. Paintings of the evening are very hard to nail in one shot. "It's Magical" 8x8 in. oil on linen board. This was a view from a vista point near where I was staying. One of the many beautiful parts of Highway 145. Very much worth the drive if you ever find your way out there. "Her Majesty" 12x9 in. oil on linen board. I drove down what has to be one of the most scenic roads in the country to Rico, a small town with a lot of western "mining town" legacy still permeating the feel of the place. I painted a large BBQ grill on wheels with some smoke coming out of it. I enjoyed leaving it sketchy-looking with the vignetted look to it. "What's Cookin'?" 11x14 in. oil on linen board. 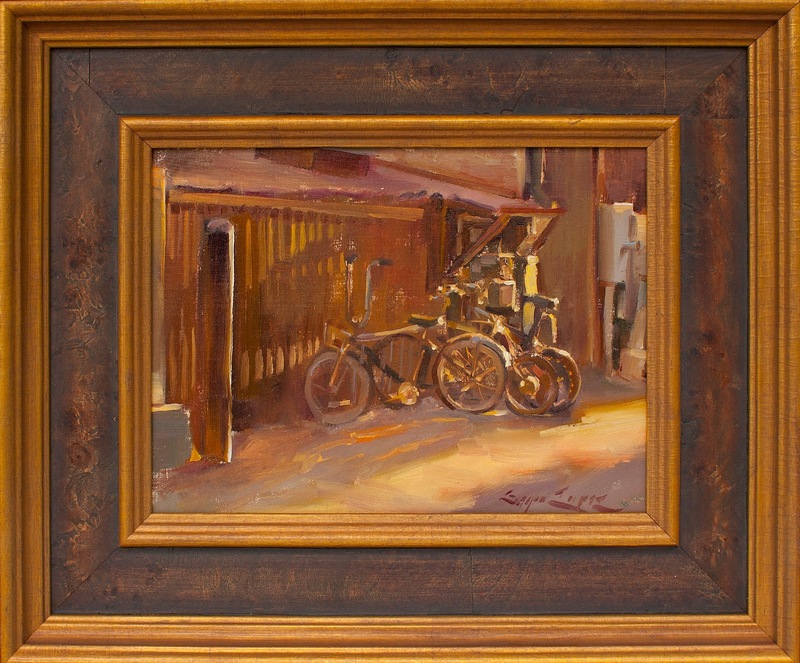 This painting turned out to be way more popular than I ever expected it to be, especially among artists. It was painted at late evening. The diffused golden light that bathes the entire town at evening is incredible. The muted tones made people think I was going for an "old fashioned" look, but it really did look that way to me. "If You Squint Hard Enough" 6x8 in. oil on linen board. I didn't get a better photo of this one because it sold before I was able to take a good picture of it. I'll take a sale over a good photo of the painting, any day. 3rd Place: Larry Rudolph. 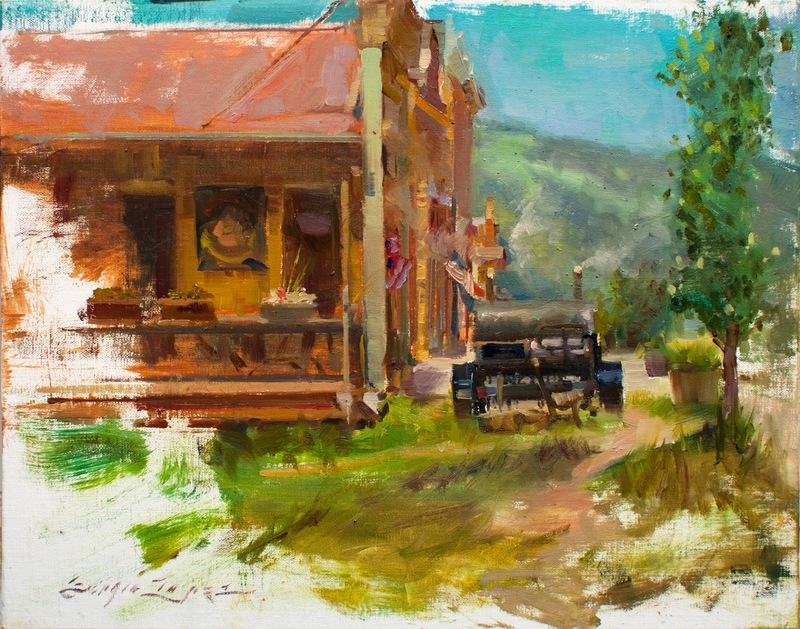 He is good at handling black paint in his work, I don't see a whole lot of plein air painters blatantly using ivory black in their paintings. 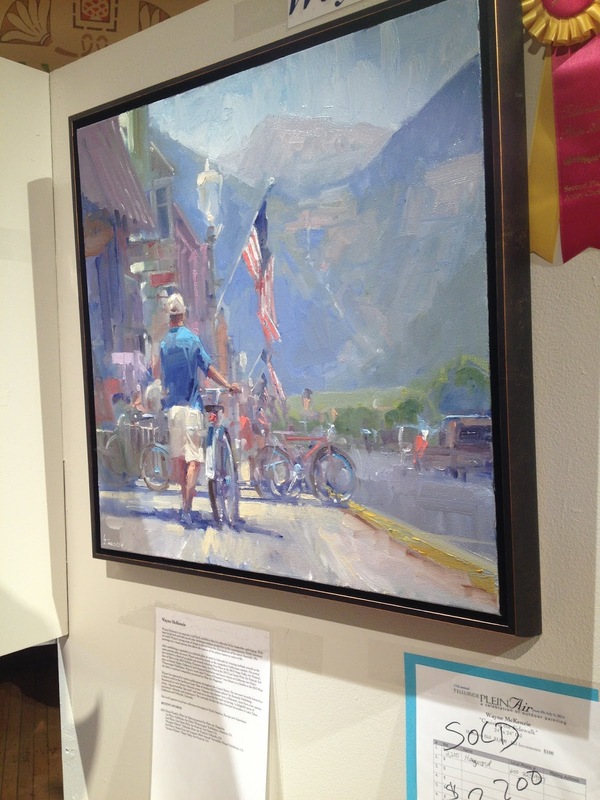 2nd Place: Wayne Mackenzie, who sold out during the outdoor show. Great job! 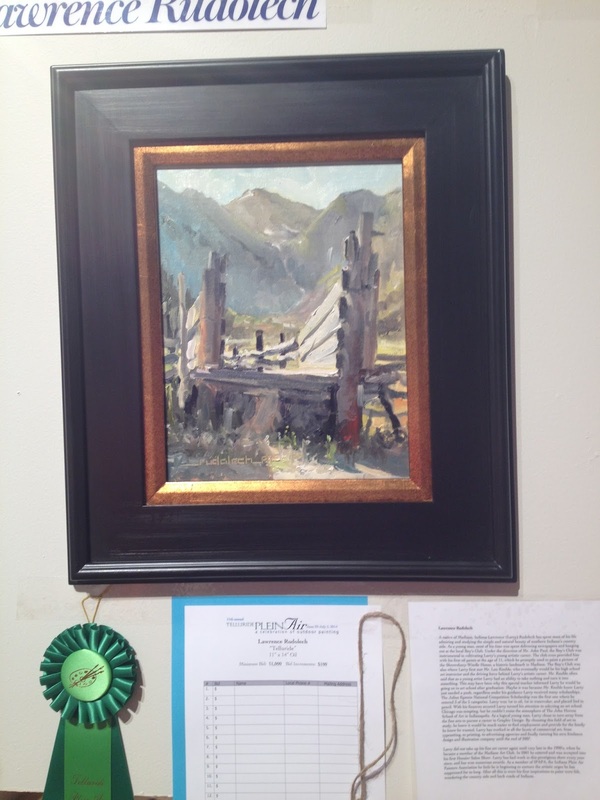 1st Place: Susiehyer. 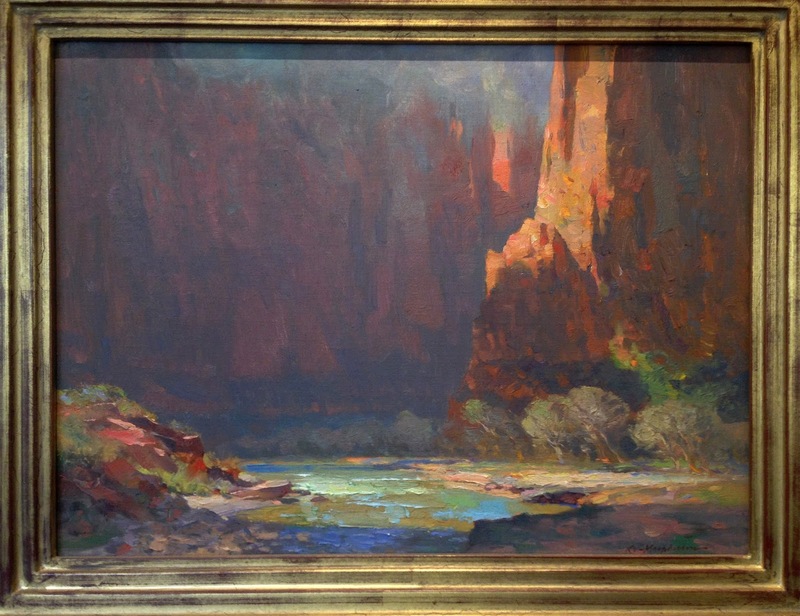 This was a very impressive and ambitious painting for a plein air event. It was also very well done. It was my second choice behind Nancy McDonald's awesome street scene. 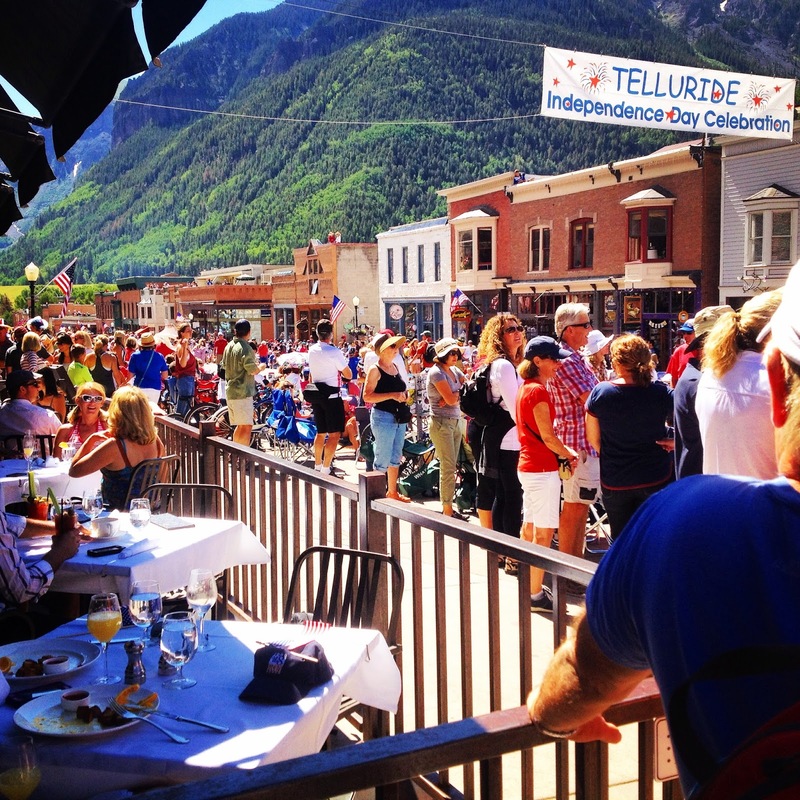 4th of July in Telluride is always a big deal in town, with the parade, fly-overs, and fireworks. The idea is that the influx of people brings a lot of eyeballs to our tents and sales will follow. That is true for some people, and not as much for others. Here is a shot of my paintings on the wall. By day two, I got a little bored of the lack of sales. 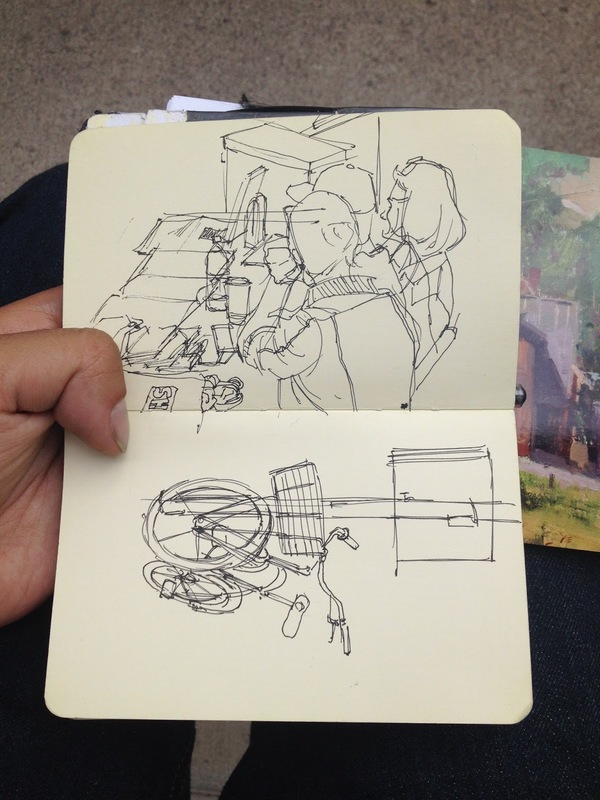 I did some sketching of the environment. 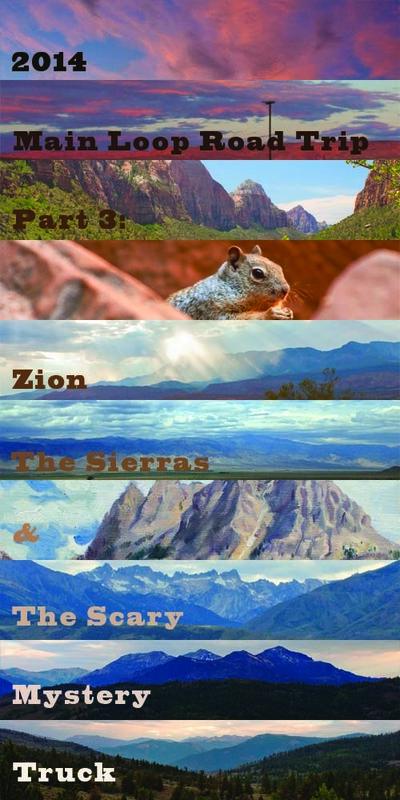 Coming soon: The conclusion to my travels.... Part 3: Zion and the Eastern Sierras! Hey everyone, I had a great time not only in Telluride, Colorado but on my way there and back. I feel like I ought to break my recap up into a few segments, otherwise it's going to be way too long and who wants to sit there and read that. Don't worry, plenty of paintings and pictures to see in each part. It took me way less time to get through Nevada this year than last year, on account of me driving through the night instead of the middle of the day and over-heating my car. I was familiar with the territory, so I knew I wasn't missing much by driving Northern Nevada at night. 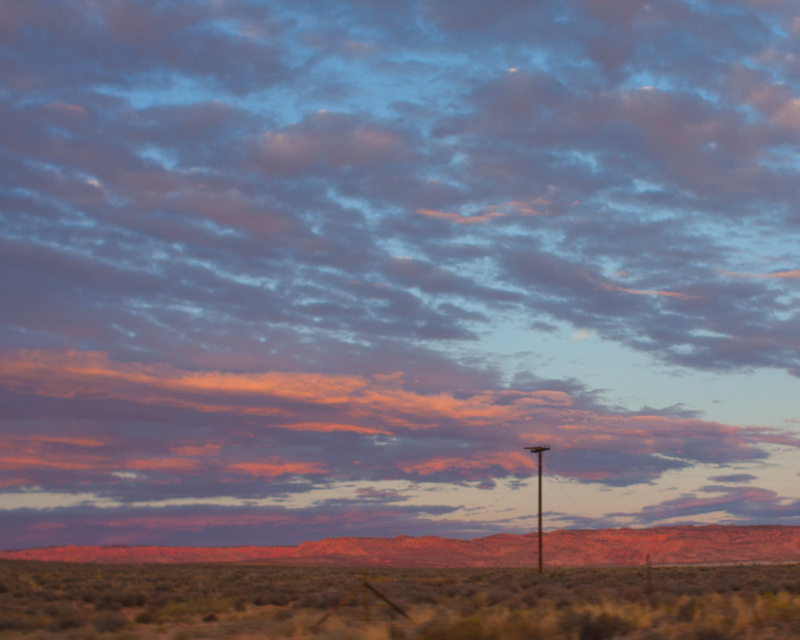 One nice thing about driving at night is when the sun comes out, desert sunrises are hard to beat. Future painting? Who knows. It wasn't much longer until I made it to SLC. 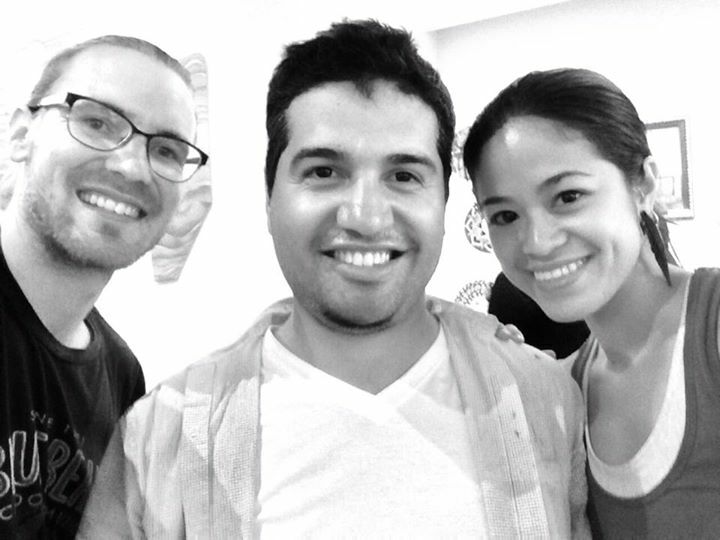 During my stop in Salt Lake City, I checked out Illume Gallery downtown. 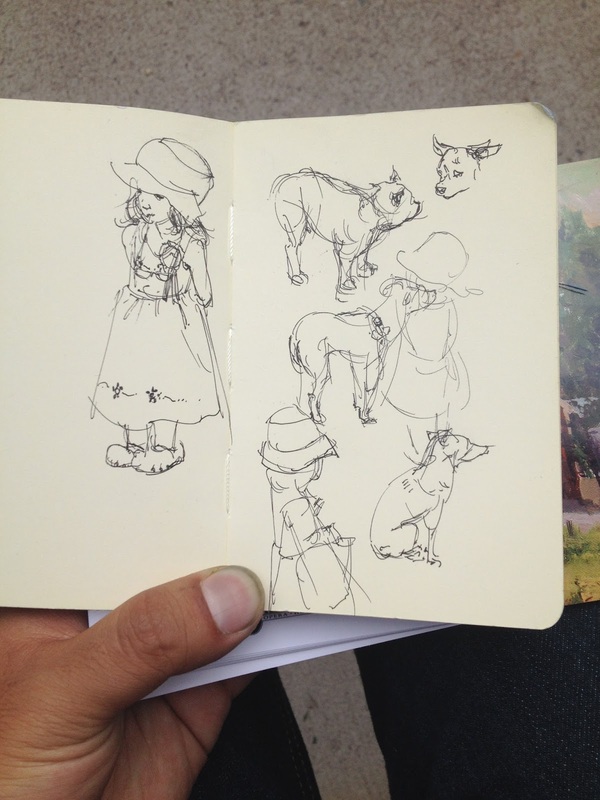 It's a gallery I've known about for a while, and I was happy to see the artists in there. 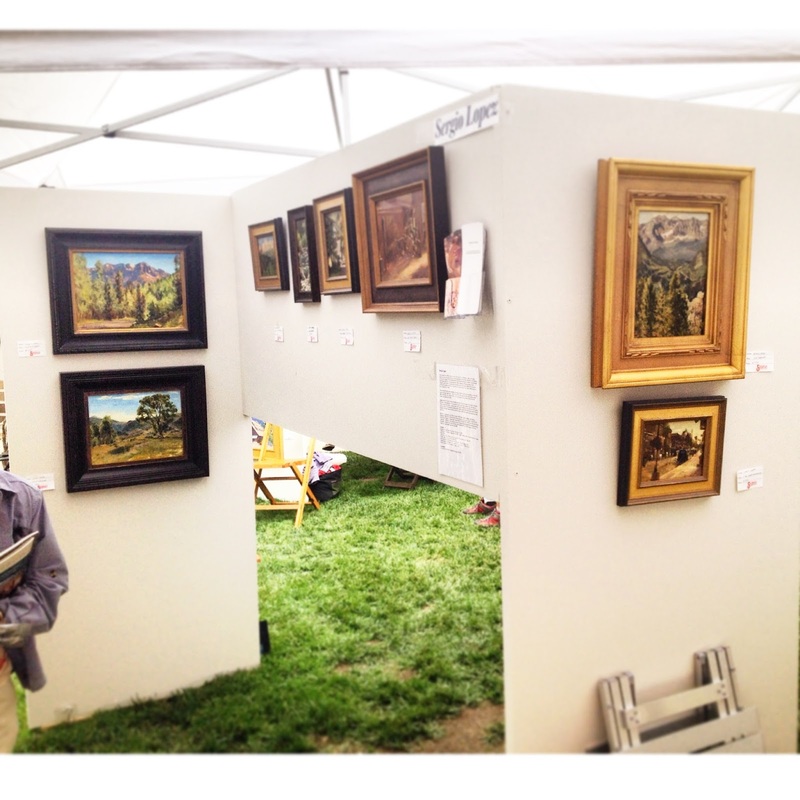 Lots of California artists, but also a nice who's-who of plein air painters in there, like Matt Smith, Lori Putnam, and others. 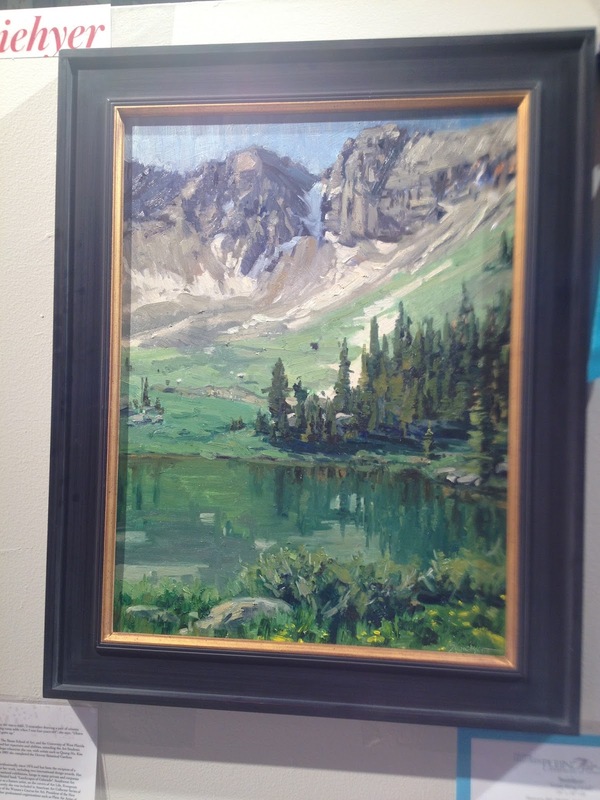 Kathryn Stats' paintings are amazing in person, photos of the paintings online don't do them any justice. 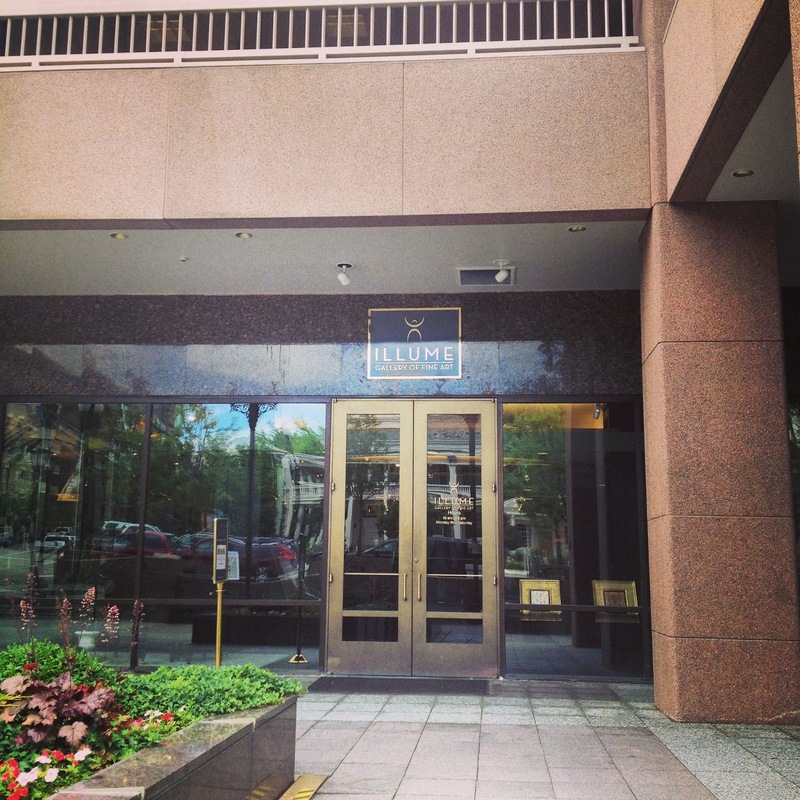 Entrance to the Illume Gallery. 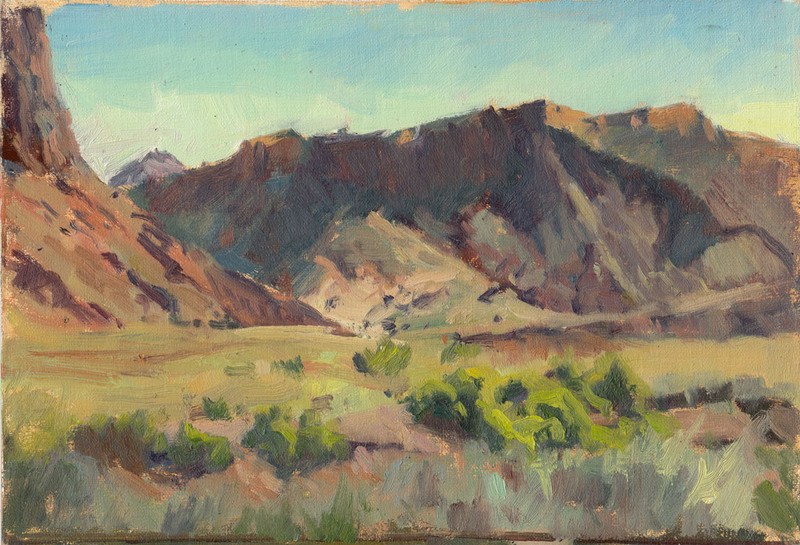 Salt Lake City is nice, but it was time to get moving to the places I'd been wanting to paint at since last year. Between Provo and Price is a really beautiful stretch of mountains and hills that I consider to be very underrated. I think if the rest of Utah wasn't even more beautiful, this area would be much better known to the rest of the US. 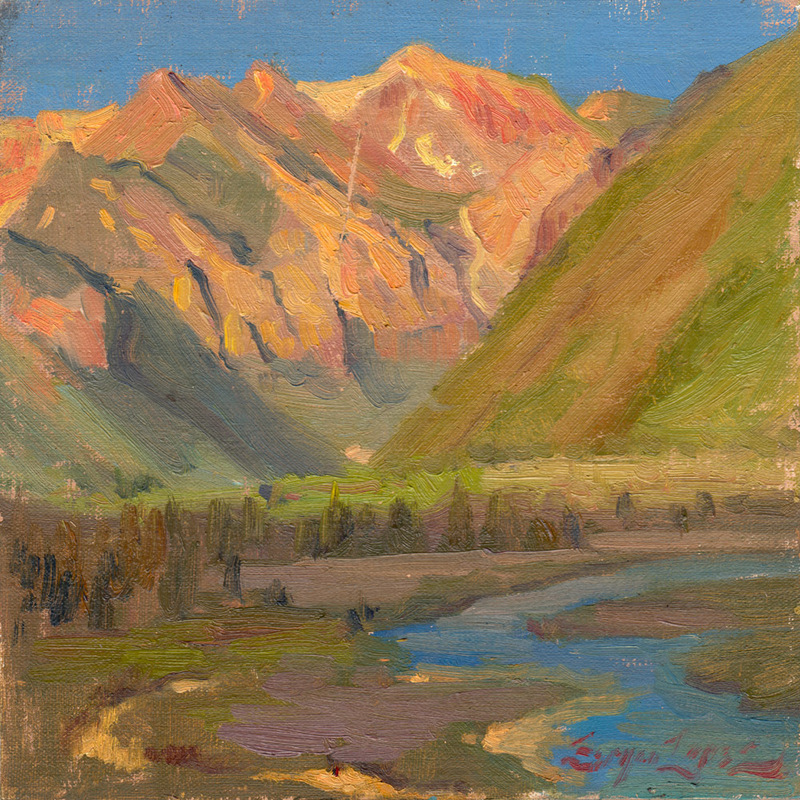 The greens and reds of the mountains make a beautiful interplay of color that are a treat to paint. 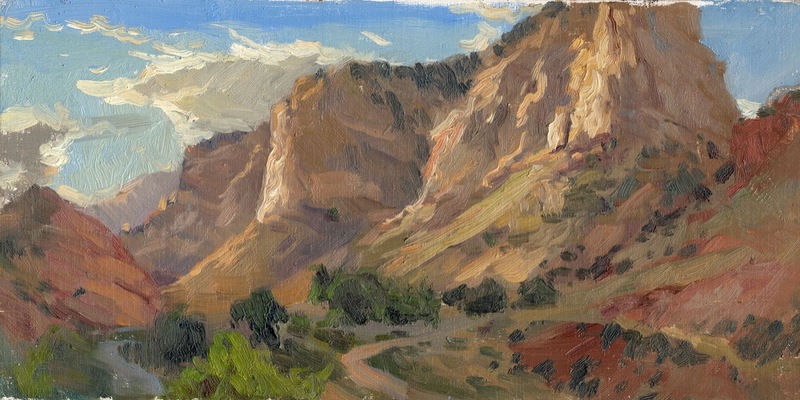 "Spanish Fork" 3.25x5.25 in. oil on linen board. 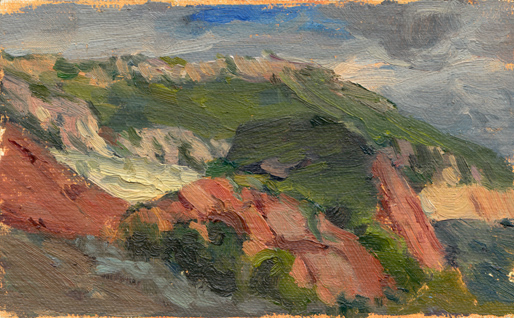 "Price Canyon" 6x12 in. oil on linen board. Price, UT. I made it to Green River that night. After last year's lack-luster bout with hotels around Green River last year, I thought there would be no way to plunge even further down in quality when it comes to rooms. Boy was I wrong. 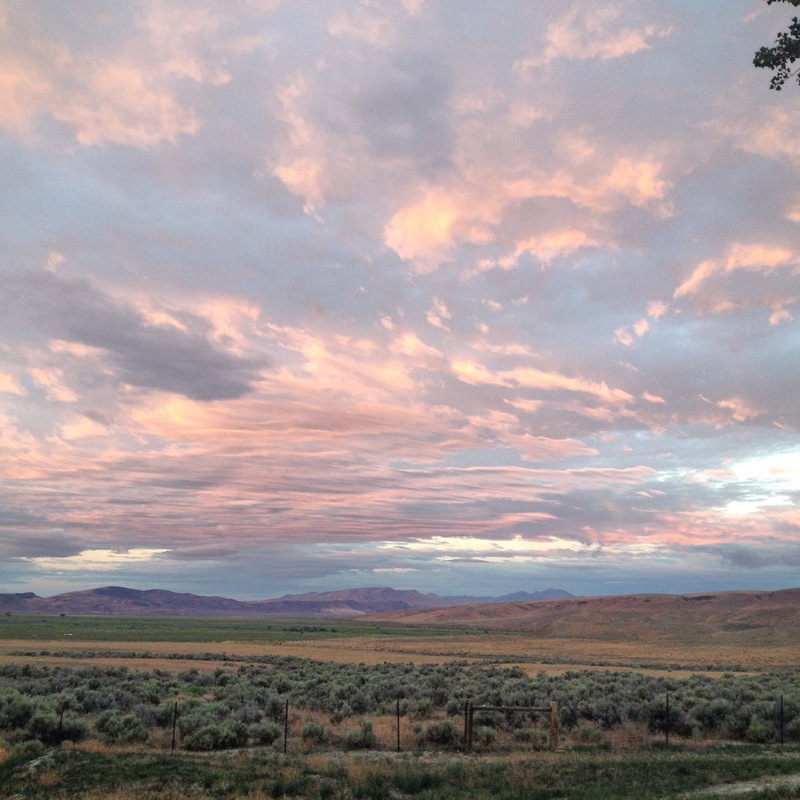 Read my review of "Budget Inn" and have a laugh at the expense of my misery: My Yelp review of Budget Inn in Green River, UT. 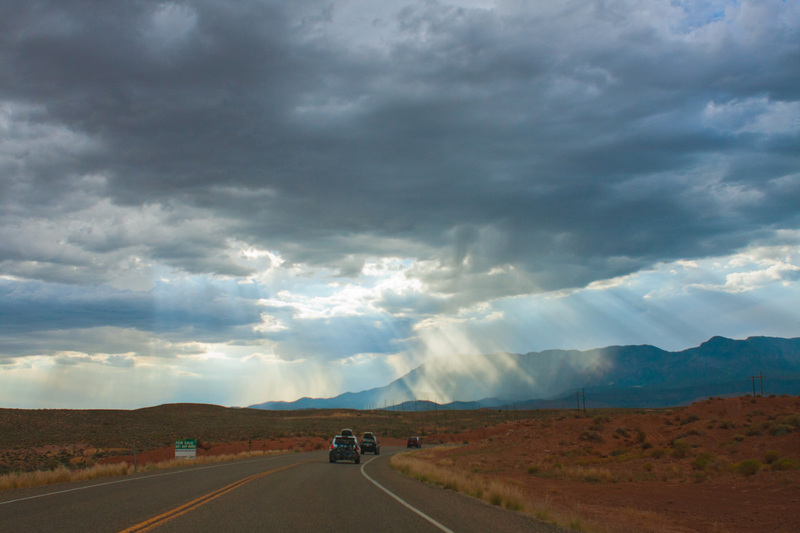 The next day I drove down to glorious Moab, UT. 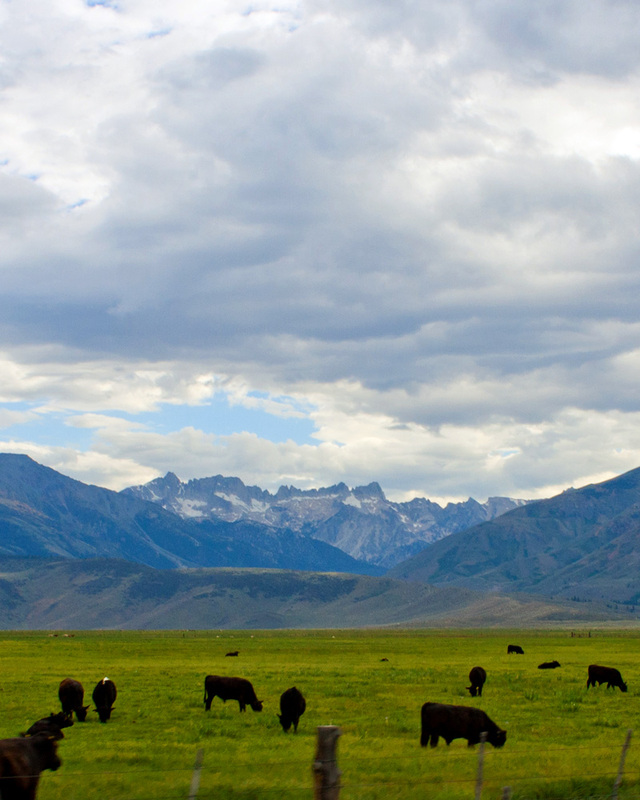 It's one of those towns that's hard to believe can exist in such perfect proximity to amazing national parks. This was one of the parts of the trip that I'd been looking forward to the most. Canyonlands was the surprise gem of the trip. I didn't know anything about it going in, so I wasn't sure what to expect. It's like a mini-Grand Canyon, but with way less people. Amazing vistas in abundance. I didn't paint a lot here because I just wanted to explore it. 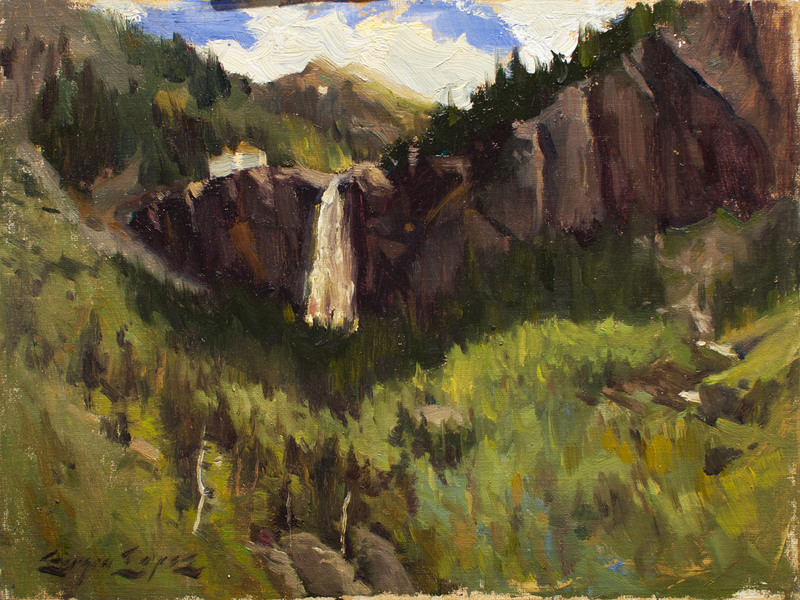 Here is the one painting I did at the Grand View Point. 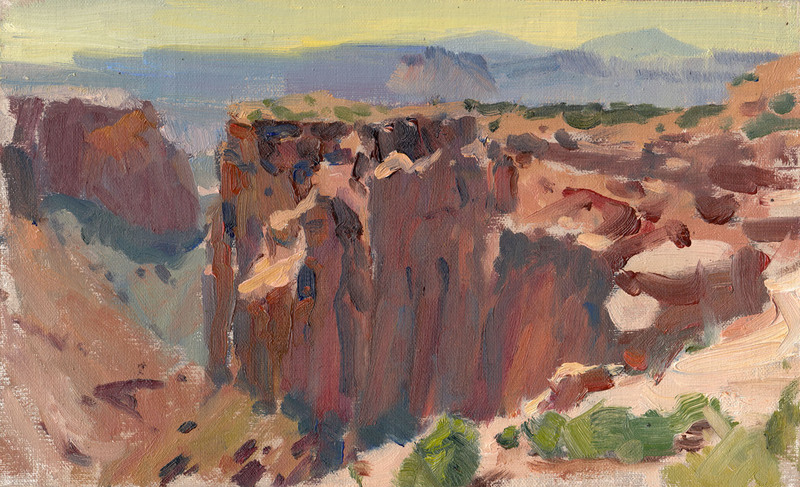 "Canyonlands" 6.25x10.25" oil on linen board. Moab, UT. Now to Arches. I definitely didn't spend enough time here. It's a gorgeous, weird place with all sorts of fantastic rock formations, mesas, and canyons. You know what I didn't see a ton of, though? Actual arches. I maybe saw four of them. I thought I was going to see them all over the place... but that's a small gripe. There are plenty of weird rocks to see that don't have holes in them. 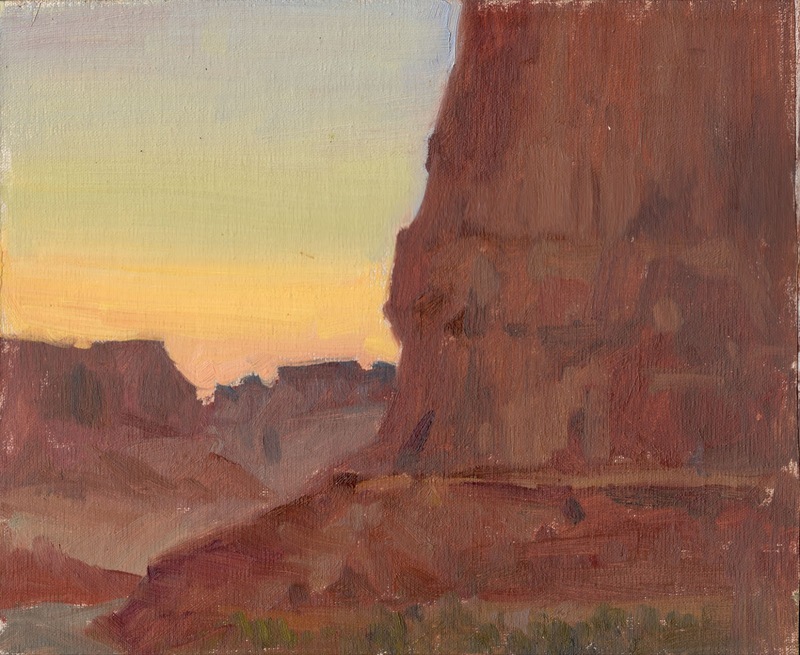 I painted this near the trail that leads up to the famous Delicate Arch. This painting looks unfinished? It pretty much is. I didn't realize it, but I set up next to a nest of biting ants. I was halfway into it but then I started getting creep-crawlies up my leg, and even got bit a few times. I tried to tough it out as long as I could, but it just got to be too much. I packed it in after a while. I went up to Devil's Garden, which is one of the most dramatic parts of Arches, and where I understand a majority of the iconic arches of the park are. 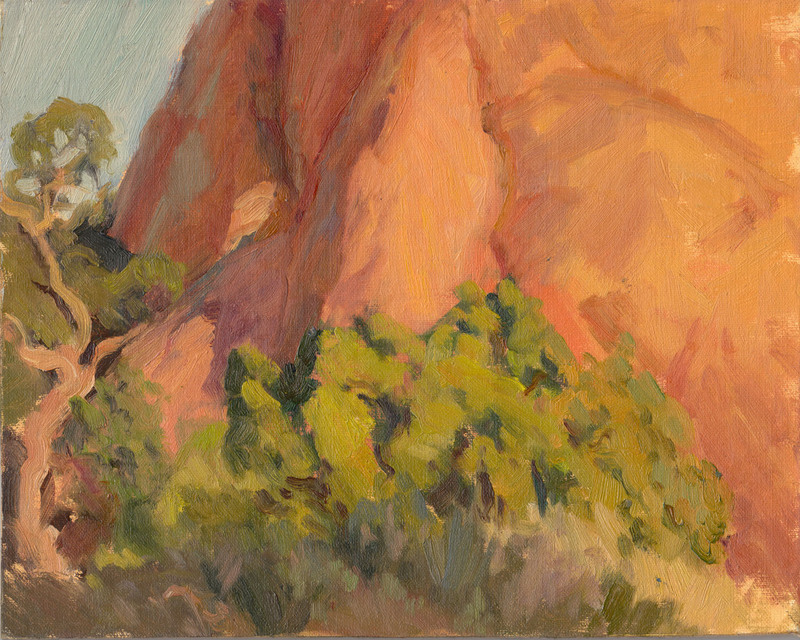 I didn't have time to explore the area much, I only had time to paint this one in the evening light. I definitely want to come back and spend some time here. This is a crop of Courthouse Tower. 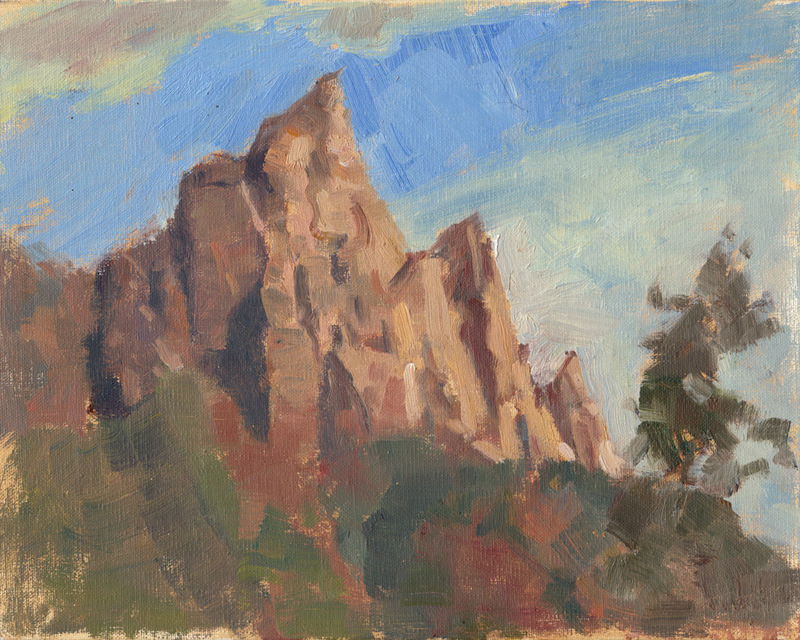 The evening light is long in the park, so it gave me about a half an hour or so to do this quick painting of this awesome rock structure. "Courthouse Tower" 9x11 in. oil on linen board. 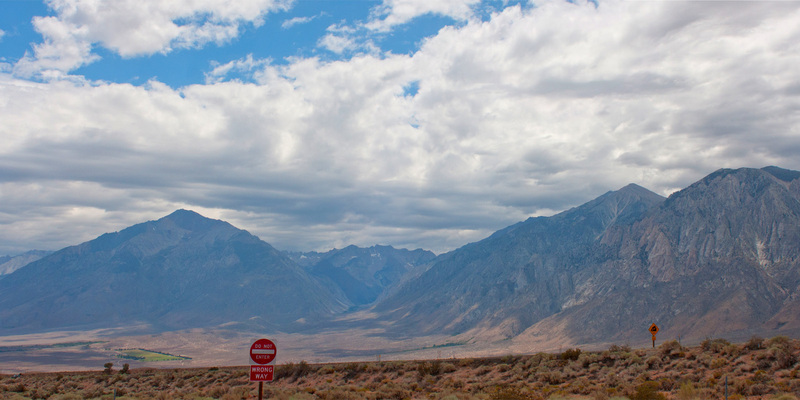 These parks are both amazing, and actually on the cheap side for a day pass as far as national parks go. I wish I could have spent more time at each, because they definitely deserve more than a half-day of time each. One for the crazy-coincidences department: I ran into my friend Carla in the town of Moab after being in the parks all day. Not only did she and her boyfriend spend the day in Arches at the same time, but we randomly happened to be at the same pizza parlor in town at the same time! Small world alert. My day in Utah was done, so it was time to get ready to make my way to Telluride! 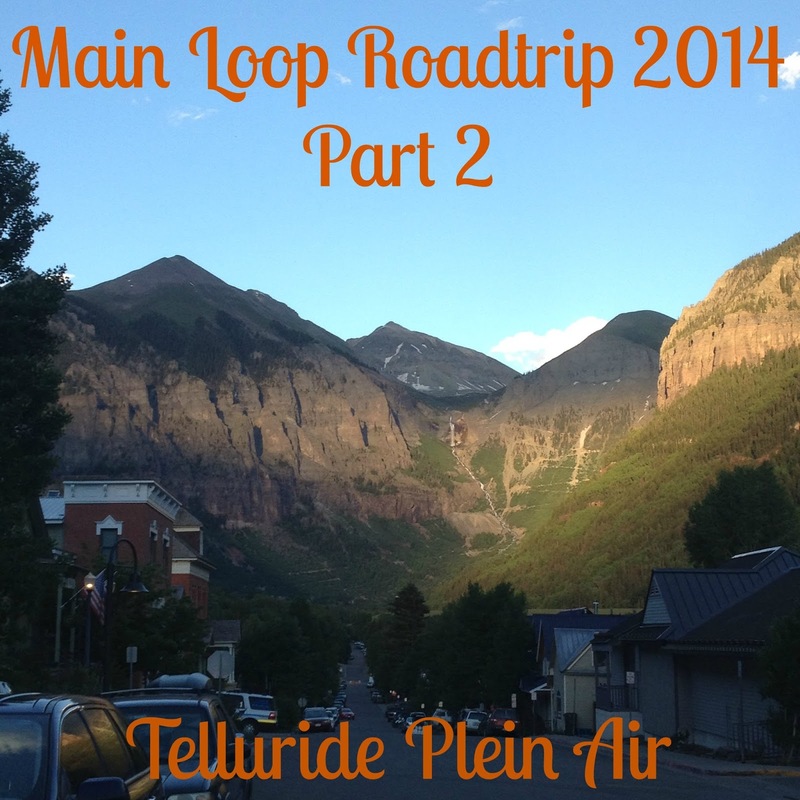 Coming next: Part 2 - Telluride Plein Air 2014!